The 2019 Public Health and Healthcare Preparedness Academy will be held on March 19-21,2019 at the Founders Inn in Virginia Beach. The theme this year for the Academy is Responding to 21st Century Emerging Threats. As part of a continuing sharing of information to help healthcare facilities become better prepared, and because workplace violence is the number vulnerability on the 2018 regional Hazard Vulnerability Assessment (HVA), we want to share a tool that can be used to identify ways of lessening the potential. The Ingersoll Rand Corporation created the Healthcare Security and Safety Assessment to help healthcare facilities augment hazard vulnerability assessments, develop an understanding of their security gaps, and create strategies for improving preparedness. This assessment tool is designed to provide healthcare Facilities and Security professionals with a means to help them identify areas of risk, focus on potential physical security gaps, and proactively enhance their institution’s preparedness. No instrument will comprehensively assess the needs of every organization. 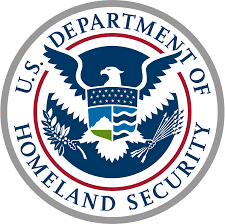 It is important therefore to view this tool as a beginning, one element of an expansive organizational process that more fully delves into the identification of organizational assets, the specific threats, risks, and vulnerabilities that may impact these assets, and the development and implementation of multi‐modal strategies to mitigate these threats, risks, and vulnerabilities. Additional resources can be found in the ASPR TRACIE Workplace Violence Topic Collection. Applications are now being accepted for the upcoming L0101 Foundations of Emergency Management course. This two-week course is the first of five in the EM Basic Academy program. This course is highly recommended for new as well as experienced members of the emergency management community as it provides a comprehensive view of the profession’s core functions, policies, and goals. 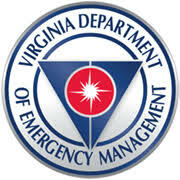 To this end, this course is required for all VDEM staff. Click here for more information and the application packet. Please submit your completed application by November 16th. If you have questions, please contact Candice Crockett. 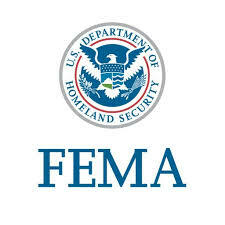 Framework for Healthcare Emergency Management (FRAME) is a four-day course designed for personnel who are responsible for the development, implementation, maintenance, and administration of emergency management programs and plans for healthcare facilities and/or systems (e.g., hospitals, clinics, or community health centers). Functional areas addressed in this course include an overview of relevant standards, regulations, and organizations; integration with agencies and stakeholders; the Incident Command System (ICS) as it applies to healthcare; plans and the planning process; facility and personnel preparedness; exercises and training; and surge and related mass casualty issues (including patient care and/or ethics, evacuation, public affairs, and risk communications), recovery, and finances/reimbursement. IS-800.c, National Response Framework (NRF), an Introduction. FEMA and its emergency management partner organizations today released the video of Dr. Sheri Fink’s “Triage, Ethics, And Operations: Healthcare Emergency Preparedness and Response,” from the third PrepTalk symposium event on Sept. 6, 2018. Dr. Fink is author of the Hurricane Katrina-related book “Five Days at Memorial: Life and Death in a Storm-Ravaged Hospital,” and her latest article, “Lost in the Storm,” tracks a family’s attempts to be rescued during Hurricane Harvey. Dr. Fink is a former relief worker in disaster and conflict zones, and received her M.D. and Ph.D. from Stanford University. In her PrepTalk, Dr. Fink shares those two real-world case studies that demonstrate the value of situational awareness, the complexities of prioritizing limited resources, and the importance of ensuring systems can effectively support operational decisions. “How we allocate the resources that we have in disasters; how we choose who gets the resources … is going to affect the outcome,” said Dr. Fink. Videos of her PrepTalk and the question-and-answer session that followed, as well as a discussion guide, and additional reference materials are available at https://www.fema.gov/preptalks/fink. Additional PrepTalks from the Sept. 6 symposium held in Washington, D.C. will be released in the coming months. The first snowfall of 2019 fell over the weekend. As with the last storm in December 2018, the predictability of the amounts of snow was difficult for the National Weather Service. As we saw beginning on Friday, the forecast snowfall amounts continually changed leaving the region expected to receive 6 or more inches, and localized up to 1 1/2 feet. 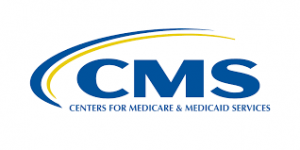 Thank you to all of the healthcare organizations for providing information over the weekend allowing the Regional Healthcare Coordination Center to submit a regional Situation Report (SITREP) to the Emergency Support Function – 8 lead agency which is the Virginia Department of Health. We plan to write an After Action Review for this event and will include the names of the organizations that provided information. The Governor declared a state of emergency on Saturday which is in affect until February 12, 2019. Although the snow has stopped, the concern now is thawing and refreezing potentially making travel treacherous in some locations. According to Hammel (2018, January 13), one person died in a storm-related wreck on Interstate 81 in Pulaski County. On Monday, schools in the region were closed, but the healthcare facilities were open with no loss in services. To continue reading more about the first snowfall, please click here.